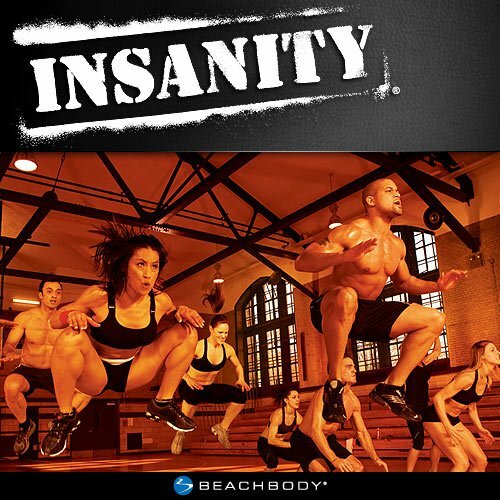 Today is Day 5 of my 60 day journey through the Beachbody Program fittingly called “Insanity.” Insanity is a 60 day workout and nutrition program led by Shaun T. According to Beachbody.com, Insanity “might just be the hardest fitness program ever put on DVD. Your personal trainer Shaun T will push you past your limits with 10 INSANITY® workout discs packed with plyometric drills on top of nonstop intervals of strength, power, resistance, and ab and core training moves.” Although I plan to go into much more detail on the coming posts about the fit test, nutrition plan and workouts, I wanted to start with a summary of the program and why I chose it. 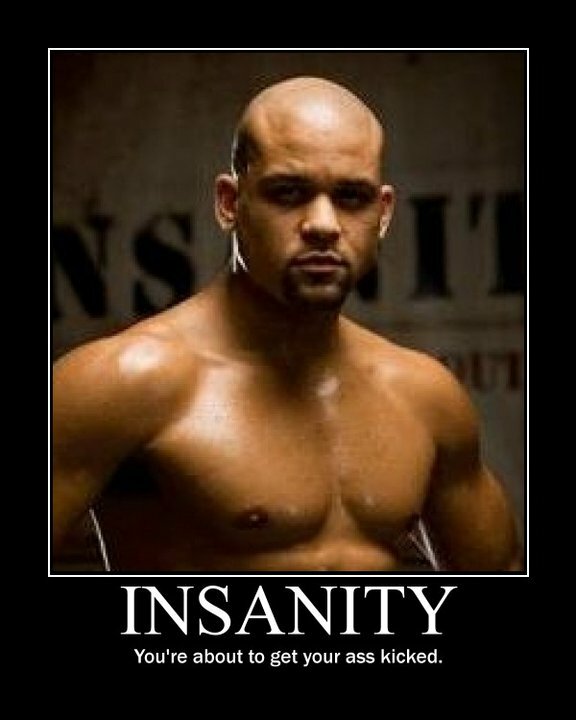 Insanity workouts in month one are only 30-40 minutes and 50-60 minutes in month two. P90X workouts are at least 60 min and can be up to 90 minutes. You will only do one targeted ab workout dvd per week with Insanity as compared to three per week with P90X (however, you will work your core and abs in every Insanity workout). Many of the above comparisons were considered when making my decision to do Insanity in Ironman pre-season. Since I will perform significantly better during Ironman with a strong core, lower weight (high intensity interval training has been proven to be more effective for weight loss than steady state workouts) and increased agility and endurance, I chose Insanity. It also helps that it’s only 60 days and Ironman training starts December 1. 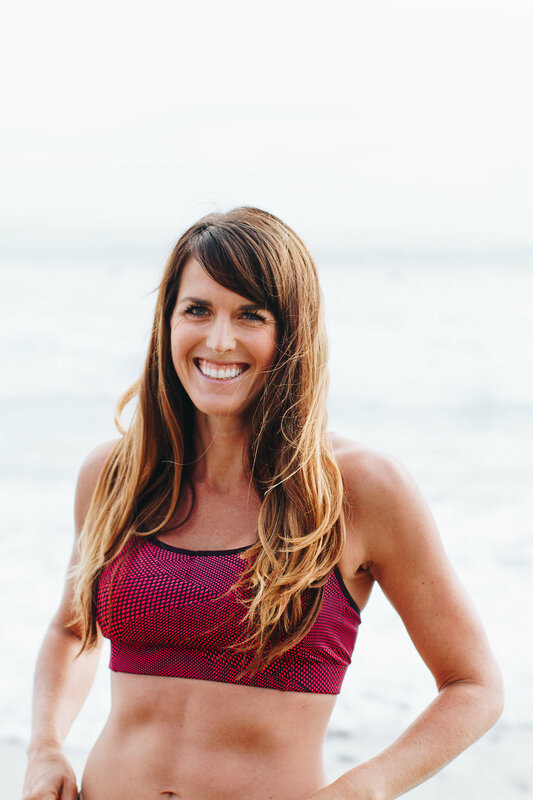 Also, the shorter workouts make it easier to complete double workouts on weekdays (Insanity in the morning with a run, bike or swim in the evening). After 5 days of this program, I must say that I’m impressed. Despite being short, these workouts are INTENSE. I am literally dripping with sweat after the warmup and my clothes are soaked by the end. I sweat more in 30 minutes with Sean T than I ever did with Tony during P90X Plyometrics. I can’t wait to see how much faster I get week to week and how much my body changes by day 60! Great comparison. I was thinking about starting it myself. I currently work in the wine industry though and drinking is a bit of a prerequisite. I can cut back for sure, but I was wondering if you allow for any alcohol intake during your training. I do plan to drink during Insanity but not often or heavily. We drank during Months 2-3 of P90X and still had good results.